Well, I finally found my motivation again! 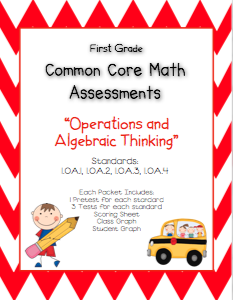 I have completed 2 more Second Grade Common Core Math Assessment packs. This packet is for geometry standards. There are 3 standards for geometry in second grade. 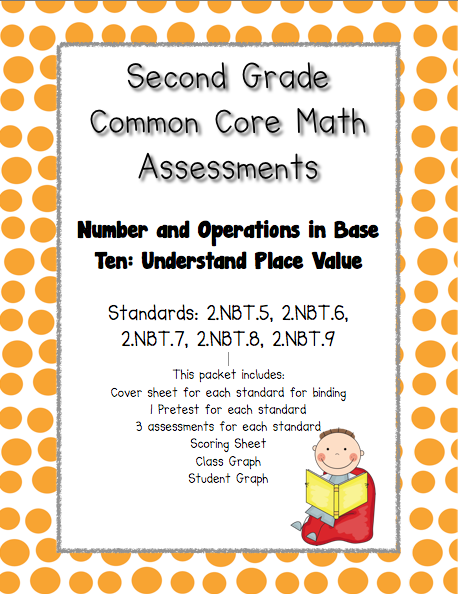 This packet contains the rest of Numbers and Operations in Base Ten. 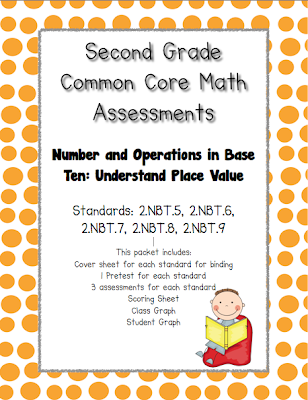 There are 9 standards for NBT so I divided this into two packets (the other packet is already up on TPT). Also, Stephany completed the first part of her First Grade OA Standards. This covers standards 1.OA.1, 1.OA.2, 1.OA.3, & 1.OA.4. You can find her First Grade Common Core Geometry packet here and her First Grade Common Core Measurement packet here. All of these packets come with a class graph and student graph for each standard. There is also a score sheet for the teacher to keep track of assessments. 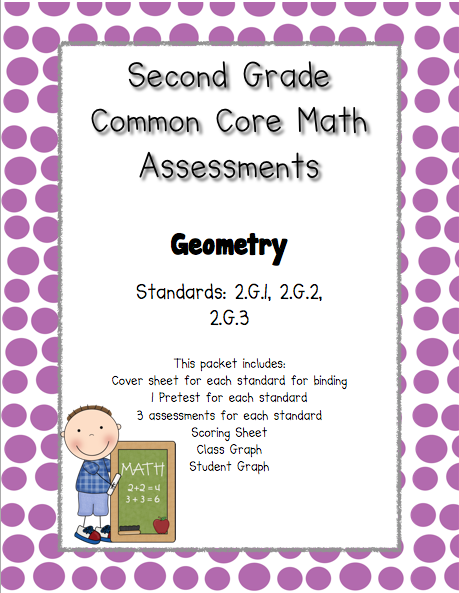 The Second Grade Geometry packet can be found here. The Second Grade NBT packet can be found here.